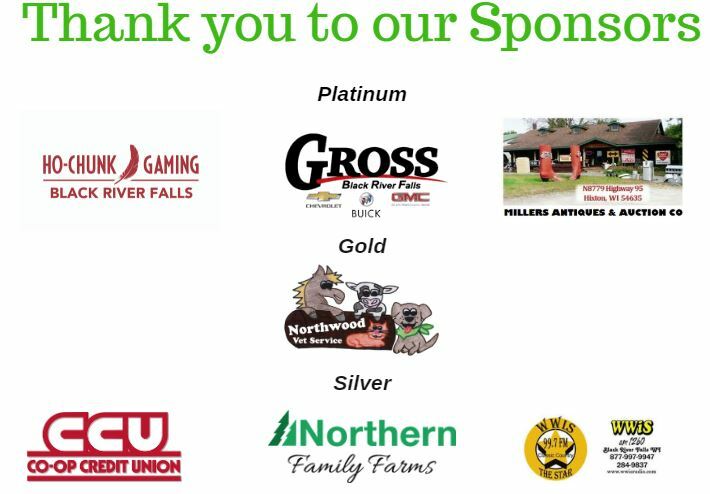 Three area businesses and a community organization were honored with awards at the Black River Area Chamber of Commerce Annual Banquet that took place Tuesday, March 5, 2019 at Ho-Chunk Gaming Black River Falls. 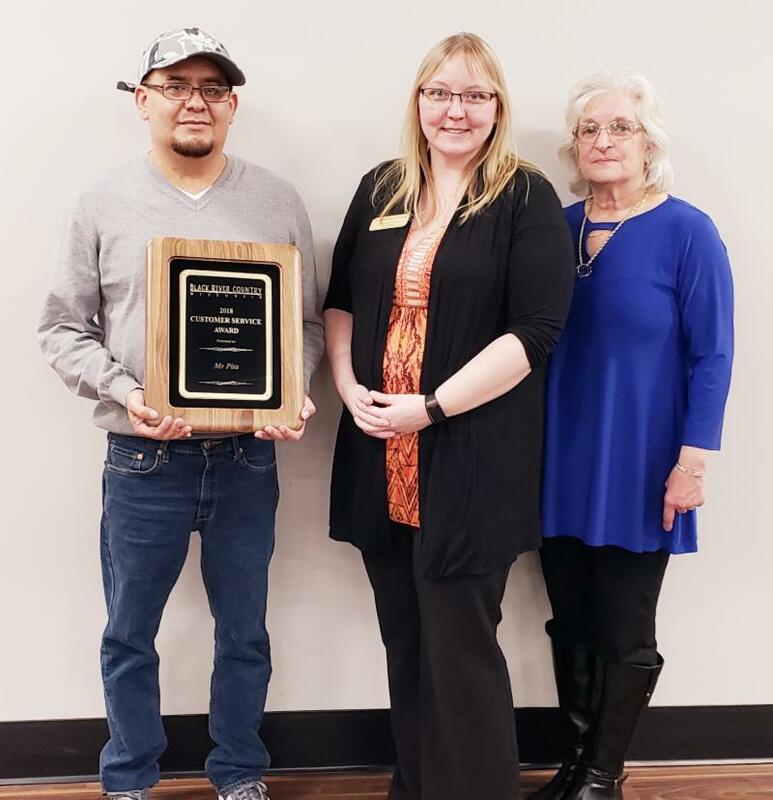 Regal Beloit Corporation received the 2018 Business of the Year Award, Mr Pita received the 2018 Customer Service Award and Jackson County Interfaith Volunteer Caregivers received the 2018 Service Organization Award. The winners were chosen by the Chamber Ambassadors group, the Chamber Annual Dinner Committee and by Chamber Board Members after a review of the nominations. Regal Beloit Corporation was established in 1988. 2018 marked 30 years since the doors opened at what is currently the Regal facility in Black River Falls. Formerly Leeson Electric, the facility started operations in 1988, and has been manufacturing electric motors since. What started as a small winding operation has been significantly added onto three times and has grown into a facility that manufactures many types of small electric motors from start to finish. Regal has a strong focus on continuous improvement and employee engagement, involving employees on High Energy Teams, conducting an on-site Yellow-Belt Certification program, and implementing 5S as an everyday mindset. Employee committees focus on fundraisers, including the annual school supply drive, which provides school supplies for the children of all employees. They also organize an annual Cancer Survivor Dinner, a Veterans' Dinner, and a St. Jude's Children's Hospital fundraiser. A core team recently became engaged in regularly delivering groceries and reading the newspaper for the visually impaired through programs with Interfaith Volunteer Caregivers. Regal enjoys offering the opportunity for local middle school, high school, and college students to job shadow, tour, or meet with our employees through partnerships with the local school districts and Western Technical College. 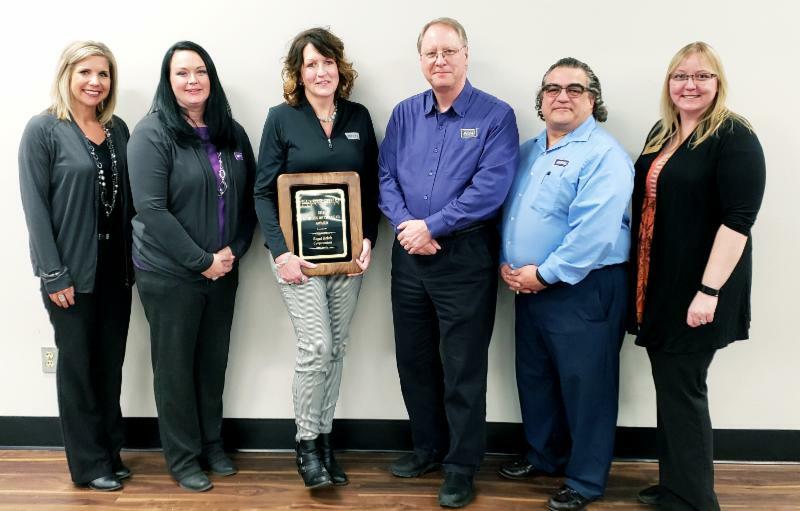 Other nominees for the Business of the Year Award were Black River Memorial Hospital, Coldwell Banker River Valley, REALTORS, Revolution BRF, Riverside Nutrition, Sand Creek Brewing, The Wright Place, Theisen’s and Viva Cinco de Mayo. Mr Pita opened in early 2018. Owner Sharon Trujillo along with manager Roberto Hernandez had a vision to start a home town restaurant that provides quality, fresh food at an affordable price. Since opening, they have provided outstanding customer service to everyone who has walked through their doors. When you enter Mr Pita, whether you are there to dine in or carry out, you are always greeted with a smile and their tagline, “what can we make fresh for you today?” If you’ve been there before, they always greet you by name! Mr Pita consistently goes above and beyond for their customers by offering quality food with quality ingredients. The staff at Mr Pita is always attentive and thoughtful. They are extremely helpful and always answer any questions people may have about their menu. They always come back and check on their customers multiple times to make sure they are pleased with their meal. Other nominees for the Customer Service Award were First Fruits Common Market, Lunda Community Center, Merrillan Café, Re-Pete’s Saloon & Grill, Revolution BRF and Theisen’s. Jackson County Interfaith Volunteer Caregivers is celebrating 30 years of helping people in Jackson County. Interfaith is a faith-based organization providing services to older adults, disabled individuals and people with special needs to help maintain their dignity and independence. Interfaith offers many different services. They include the Time for You Respite Program which provides engaging activities for individuals suffering from dementia or memory issues, while offering some much needed relief to caregivers; respite/caregiver support, Groceries to Go deliveries to home bound individuals; transportation to medical appointments, church, shopping or to other social gatherings; friendly visitor / reassurance calls for those who live alone; occasional Lawn Mowing/Snow Removal and Fall & Spring yard clean up; grocery shopping and errands; lite housekeeping; the Visually Impaired Program (VIP) where a volunteer comes in to record a copy of the Banner Journal; Library to Go which delivers books to home-bound individuals; the JUMP Program (Jackson United Mentoring Program) which helps provide a mentor to youth in the elementary schools; and Bear Essentials which provides essentials to young families such as diapers, wipes, blankets and clothing. Other nominees for the Service Organization Award were Jackson In Action, Lunda Community Center and Rotary Club of Black River Falls. Congratulations to all of the award winners and nominees! Thank you, as always, for your continued support of the Chamber. Together we build business, create community and promote tourism. Pictured (l-r): Reva Witte, Ginger Heath ,Patti Krahenbuhl, Al Viste, Rick Duss and Chamber Executive Director Amanda Gunn. Pictured (l-r) Manager Roberto Hernandez, Chamber Executive Director Amanda Gunn and Owner Sharon Trujillo. Career Fair and Community-Wide Job Fair will be held on Tuesday, April 9, 2019! 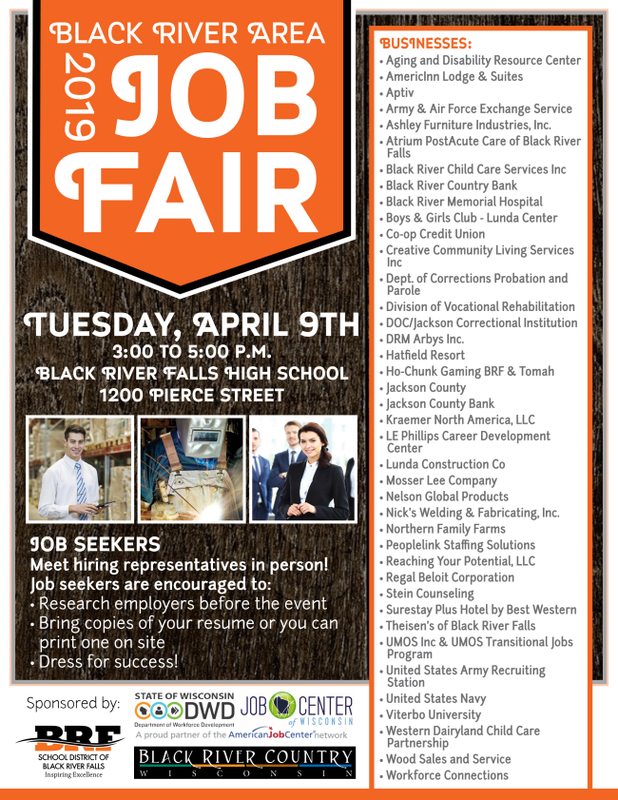 The Black River Area Chamber of Commerce, Department of Workforce Development and the Black River Falls High School are planning a Career Fair and Community-Wide Job Fair at the Black River Falls Middle School. We appreciate your partnership on this day to help grow your current and future work force. If you are interested in participating, please fill out the online registration form HERE or download and print the form HERE . 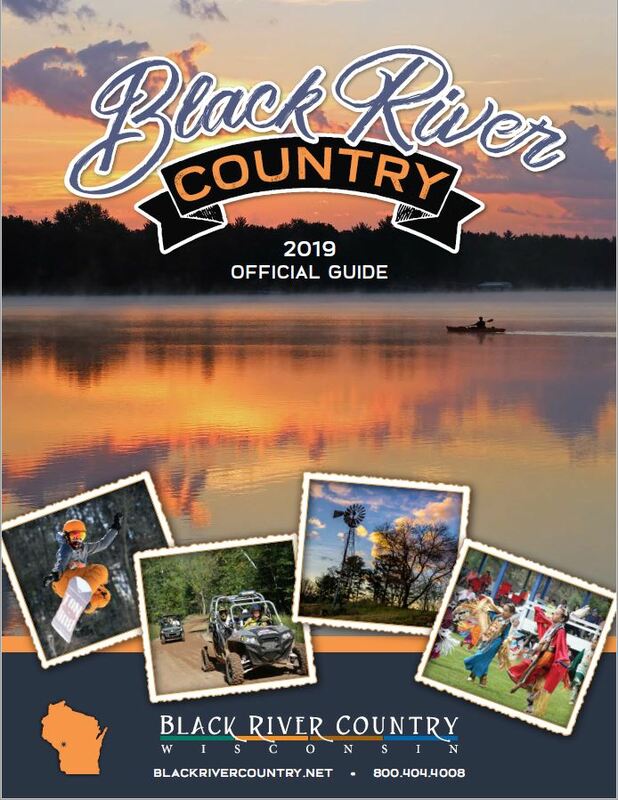 The 2019 Black River Country Visitor Guides are printed! We have boxes available for distribution. If you would like a box, stop in our office or give us a call and we can drop them off to your business. Here is a sneak peek at the beautiful cover! 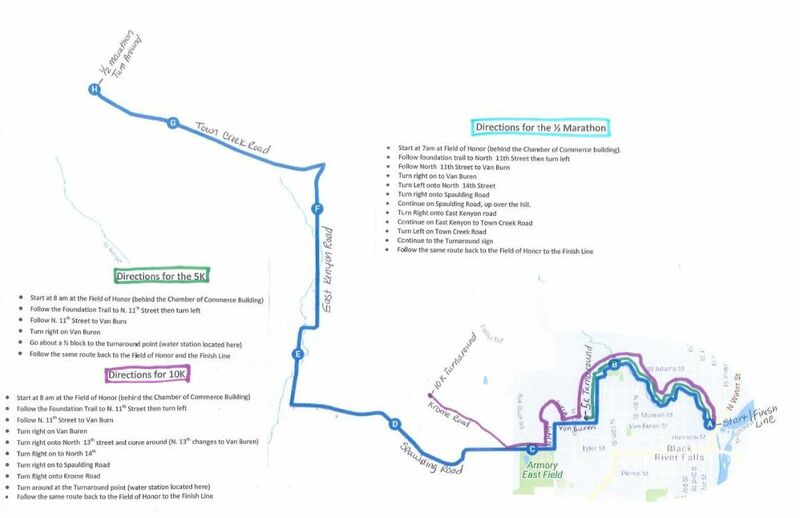 Plans are underway for the 15th Annual Karner Blue 5K-10K-Half Marathon races that are scheduled for Saturday, July 20, 2019. This year promises to be another great event! The half marathon starts at 7:00 a.m., the 5K and 10K start at 8:00 a.m. and the kid's race starts at 9:00 a.m. The awards ceremony will be held at 9:30 a.m. near the finish line. All races will start and end at the Chamber of Commerce office. 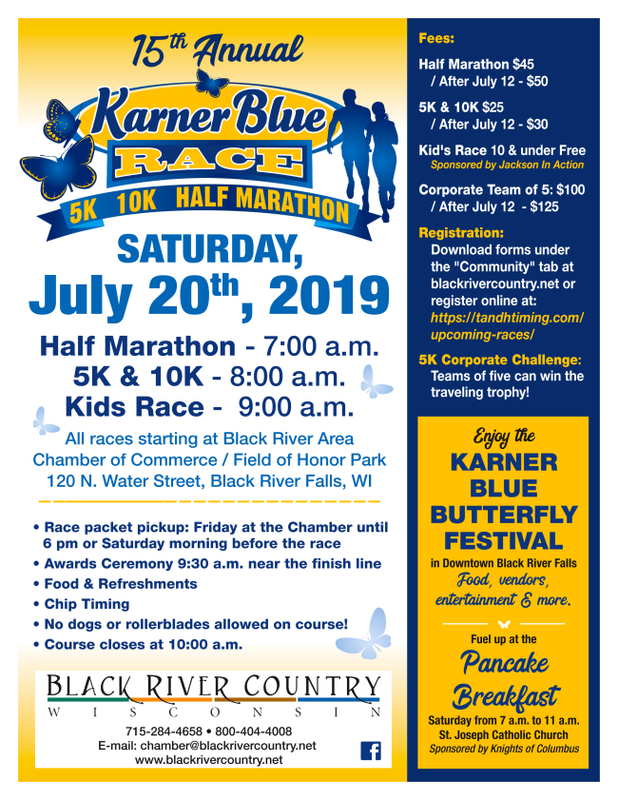 Registration forms for the 15th Annual Karner Blue 5K-10K-Half-Marathon will be available to download and print on our website under the community tab. You also have the option to register online. Please send us information on any upcoming events your business or organization is hosting. We will get them posted to the calendar on our website and in the printed calendar we distribute at our office. We also share many different events on our Facebook page! Make sure to drop off a supply of your brochures, rack cards and business cards at the Chamber office. Help us help your business by passing along information to both our out-of-town visitors and to local residents who come to the Chamber. If you can't make it to the office, give us a call and we will gladly pick them up at your business! Throughout the year, we put together goody bags for our Karner Blue race, new teachers, hockey tournaments and other events. We are asking businesses to donate goody bag items. If you have items such as pens, magnets, key chains, coupons, etc that you would like to donate, give us a call. It is a great opportunity to advertise and promote your business! A new locally owned business. Frank (Bubba) Rowlee and Mike Sandoval are the owners/operators. They are now taking clientele for spring and fall clean up, mulch beds, planting beds, as well as any and every landscaping project. Please call or message them to set up a free estimate! 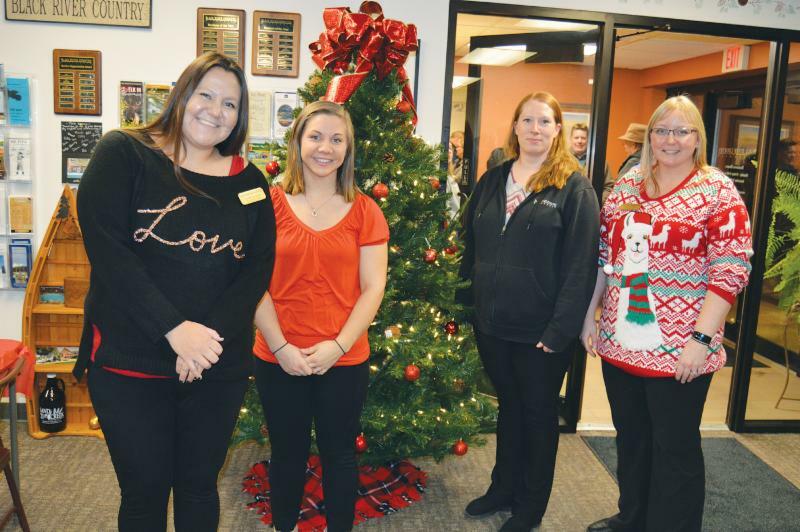 Ashley Rush and Karli Hudson were the January Youth Rotars for the Rotary Club of Black River Falls. Both are seniors at the Black River Falls High School. Youth Rotars are selected by their school and Rotary as representatives of “good citizens” in both their school and their community. Youth Rotars spend one month attending the Rotary Club’s meetings and give reports on school events. At their last meeting, they are presented with the Black River Falls Rotary Club’s flag. The Youth Rotar Program runs from September through May with two representatives each month, except the month of December. Ashley is the daughter of Tammy and Jon Rush. She has one sister, one brother, three dogs and one cat. In school, Ashley is involved in Future Business Leaders of America, National Honor Society, Spanish Club, Technology Team, and Swim Team. She is also a Hockey Manager and a Jackson Electric Youth Ambassador. She currently works at Co-op Credit Union as a Member Service Representative. Outside of school and work she enjoys spending time with family and friends, camping and boating in the summer and figure skating and snowmobiling in the winter. Ashley plans on becoming a Teacher and eventually an Assistant Principal or Principal at a school. Karli is the daughter of Kristi and Darin Hudson. She has one younger sister, two horses and one dog. In school, Karli is involved in Track and Field. She is also part of the Black River Falls Trailblazers 4-H Club, the Jackson County 4-H Horse Project and she is part of the Summer Volunteen Program at Black River Memorial Hospital. She currently works at K-9 Country Lodge. In her free time she enjoys riding and training her horses, reading and spending time with family and friends. Karli plans on attending the University of Minnesota Rochester in the fall for Health Sciences and hopes to continue on to Medical School with the goal of becoming a surgeon. 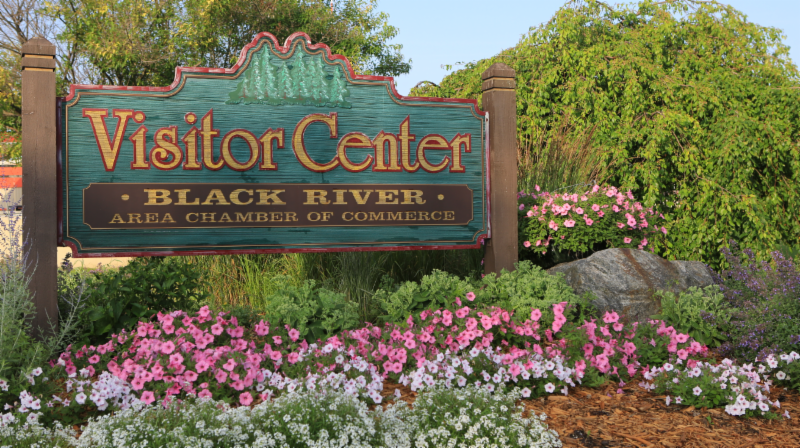 The Rotary Club of Black River Falls is part of an organization dedicated to improving the lives of people all over the world. Its purpose is to bring together business and professional leaders to provide humanitarian services, encourage high ethical standards and to advance goodwill and peace throughout the world. The Club meets every Monday at noon at the Skyline Golf Course. For more information visit www.brfrotary.org or find the club on Facebook. The School District of Black River Falls would like to increase internship and apprenticeship opportunities for students in our area. 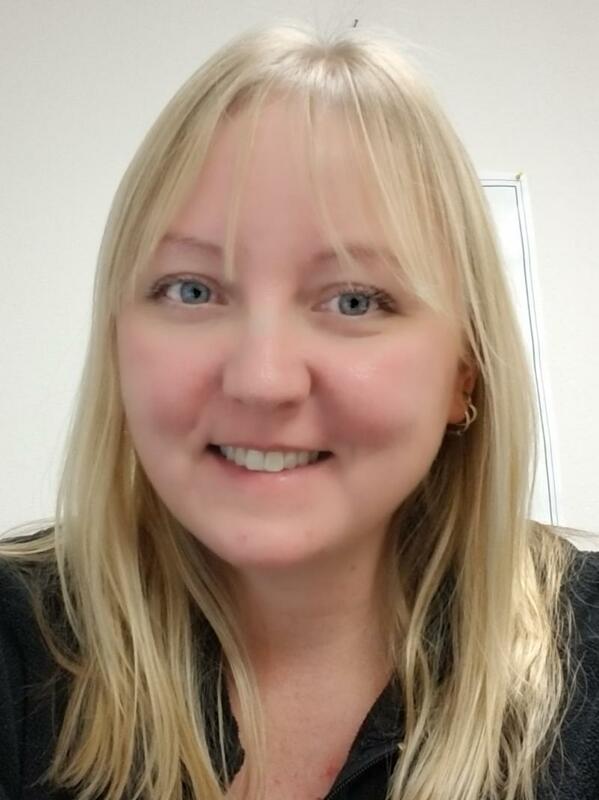 Career Coordinator Ryan Johnson can meet face-to-face with employers, help coordinate and support interns and apprentices in local businesses and assist with finding and developing training opportunities for student workers. If your business would be interested in having student interns/apprentices, contact Tom Chambers at 715-284-4324 ext 2001 or by email at Tom.Chambers@brf.org or Ryan Johnson at 715-284-4324 ext 6511 or by email at ryan.johnson@brf.org . 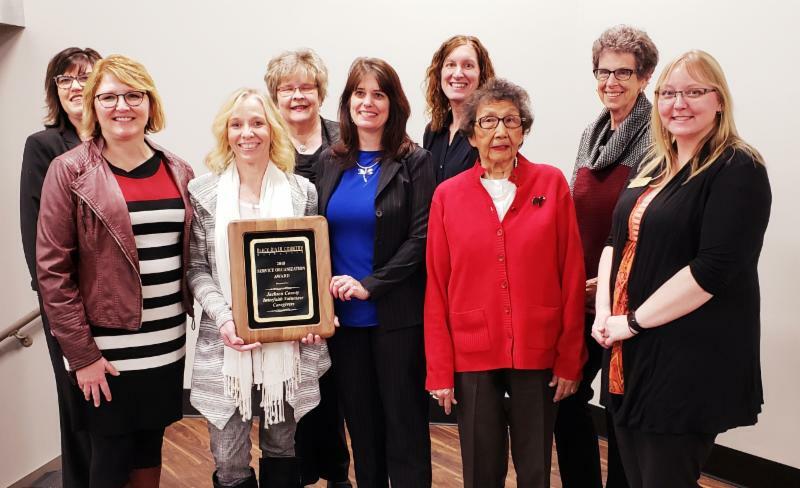 Jackson County starts the New Year recognized as a Wisconsin Active Together Community for efforts to promote active lifestyles and for their pledge to do more--because in addition to celebrating accomplishments, communities can make resolutions to foster health too! Where we live impacts our wellness and the newly named Wisconsin Active Together Communities, now reaching 1.4 million Wisconsinites across the state, know that even small changes in the landscape and in promoting being active can add up to creating lasting changes for everyone’s benefit, impacting both health and the economy. · Sun Prairie; Sun Prairie Moves, Inc.
“Our community coalition has been building on active lifestyle opportunities through a coordinated multi-agency effort with many key stakeholders at the city, county, private and public level. We are very pleased to receive this recognition which spurs us to continue to grow,” explained Nicole Schweitzer, Chair, Jackson In Action. 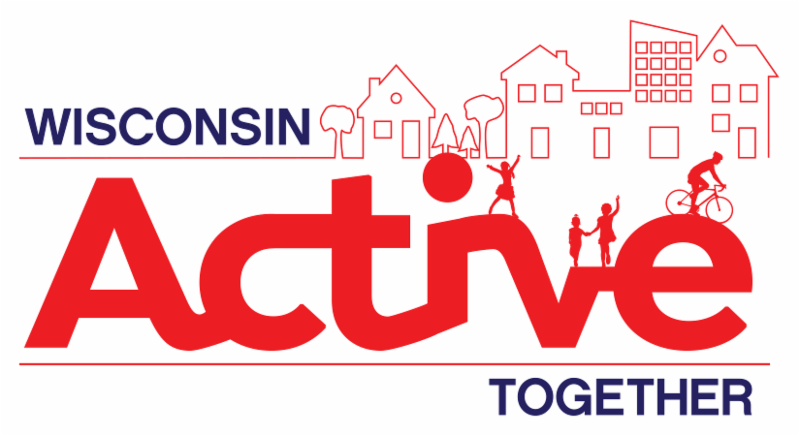 So for 2019, JacksonInAction.org encourages people to work to make Wisconsin Active Together! 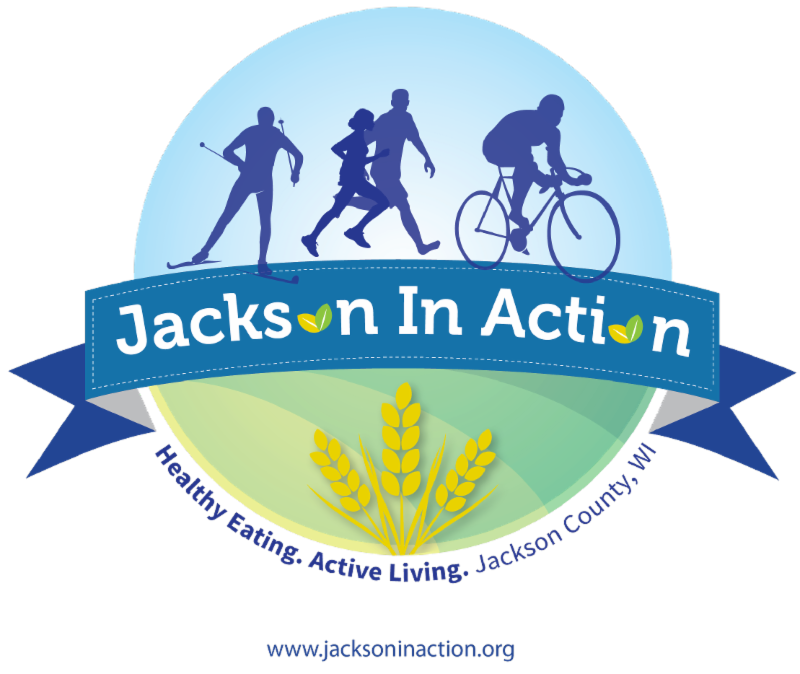 Here are a couple of things you can do: Visit JacksonInAction.org and learn more about their initiatives; Join the coalition in advancing local strategies for safe places to walk, bike, and be active! The next event is a Snowshoe/Winter Hike at Lake Wazee - Click here for more information! Learn more about the state-wide effort here: WIActiveTogether.org . Application materials and the governing program instruction 7 CFR Part 4280, Subpart E, can be found by visiting our website. 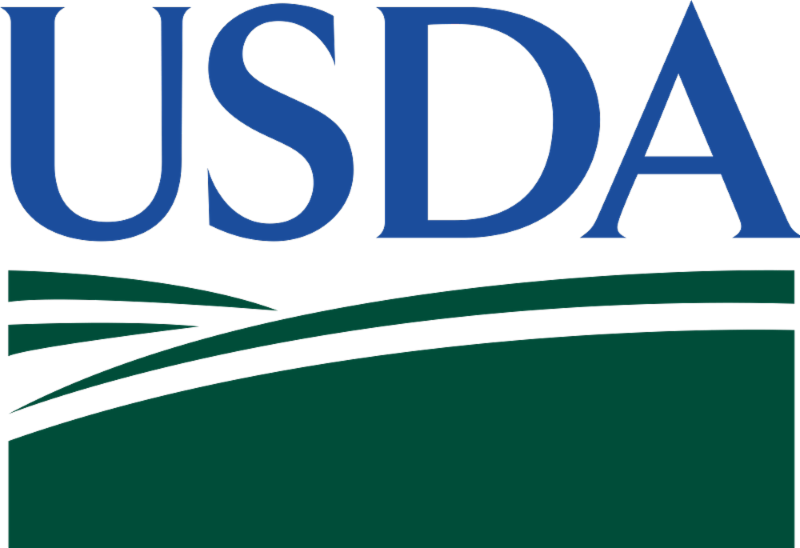 Applications must be submitted and/or delivered by March 29, 2019 to the Rural Development State Office at 5417 Clem’s Way, Stevens Point, WI 54482. 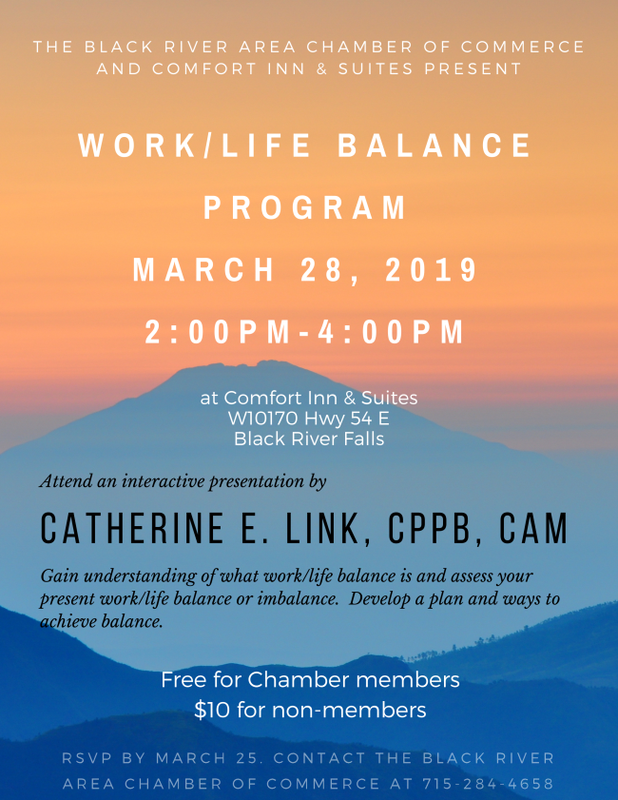 If you have questions or need additional information, please contact Kristin Peterson, Business & Cooperative Programs Specialist with Rural Development. She can be reached at 715-345-7640 . 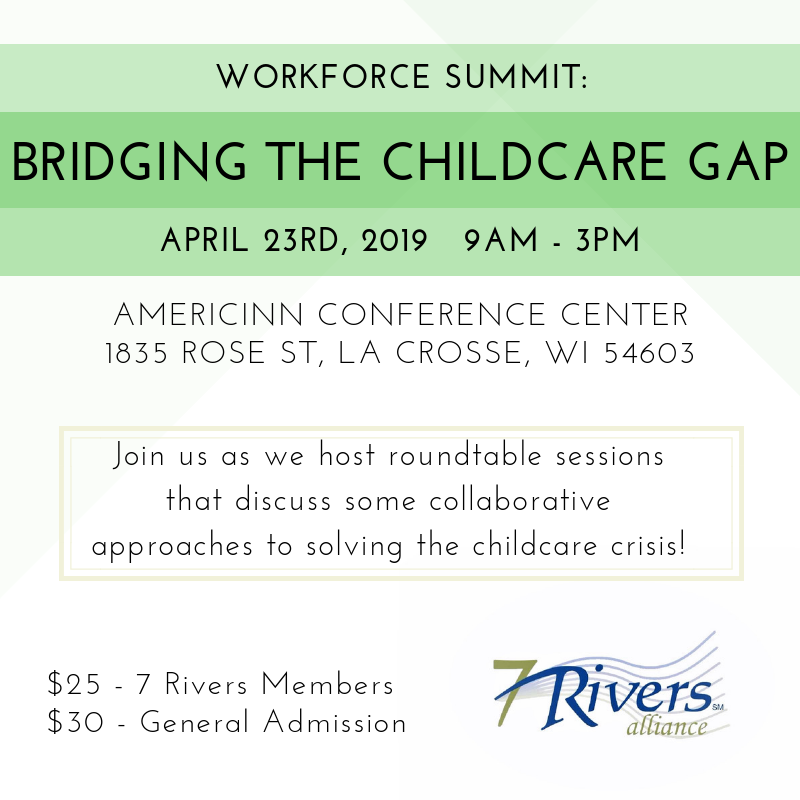 Click here to register for the Childcare Summit! With a new school year underway, the Inspire 7 Rivers team has taken initiative to grow its network of employers and students. Inspire is a way to link together education and industry to help students and job seekers achieve their goals and address communities’ workforce development needs. 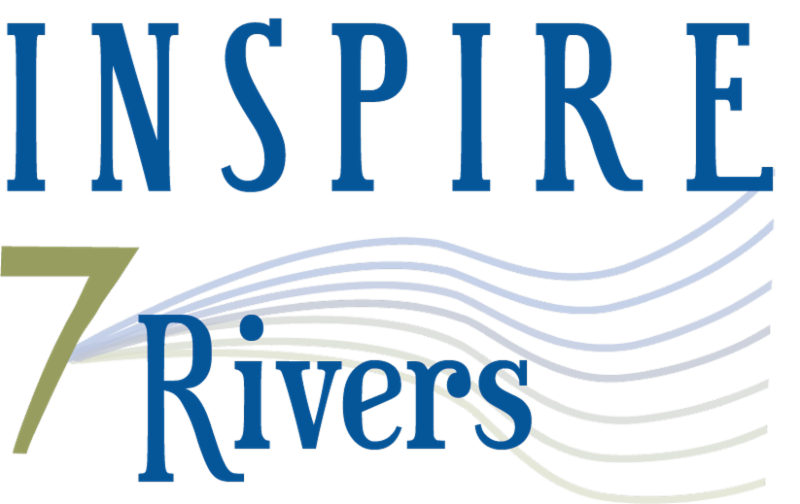 Inspire 7 Rivers is launched in school districts within Black River Falls, Holmen, Tomah, Hillsboro and Blair-Taylor, and over the next three years, the program will expand to include school districts throughout the entire 7 Rivers Region. The Inspire program is now up to over 100 employers and 80 coaches that collaborate with over 1,000 active students in the area. Our team continues to communicate about the benefits of the program to local organizations. We are currently working on creating a more effective, user friendly registration process for employers to join. If you or any employer is interested in learning more please email Jeff at Jeff@7riversalliance.org . WisConnect is your source for Wisconsin internships! Employers can recruit interns on WisConnect to enhance their skilled talent pipeline. Create an employer profile, post internships, search for Wisconsin college students and find resources to build or expand internship programs. It's easy to get started. Create a free WisConnect account to start your search for interns today. Once registered, you can build your employer profile to showcase and attract interns, post internships and search for qualified interns who meet your talent needs. Students can seek internships to gain valuable job skills and launch their career. Create a professional profile, upload your resume, and search for internships with Wisconsin employers. Create a free WisConnect account to start your internship search today. Once registered, students can search for internships, explore Wisconsin businesses that offer internships and identify opportunities to gain valuable job skills. New internship postings are added frequently. Visit WisConnect often to find new opportunities. For more information visit the link below! To further guide our approach, we conducted a national survey of business leaders, investors and people representing the general population. Among the insights this study uncovered is the fact that Wisconsin is a state well-known for its thinkers, makers and doers. You can view a summary of our research findings here. When something is produced in Wisconsin, it is a point of pride for those who had a hand in its creation. WEDC created a cost-free logo for businesses to use to proclaim their products' Wisconsin origin. 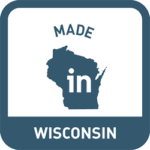 The Made In Wisconsin logo can be adapted to reflect a company's production process. 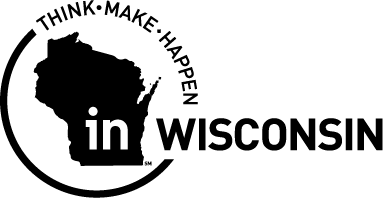 Join the hundreds of companies who are already participating in the Made In Wisconsin program by filling out an application here ! 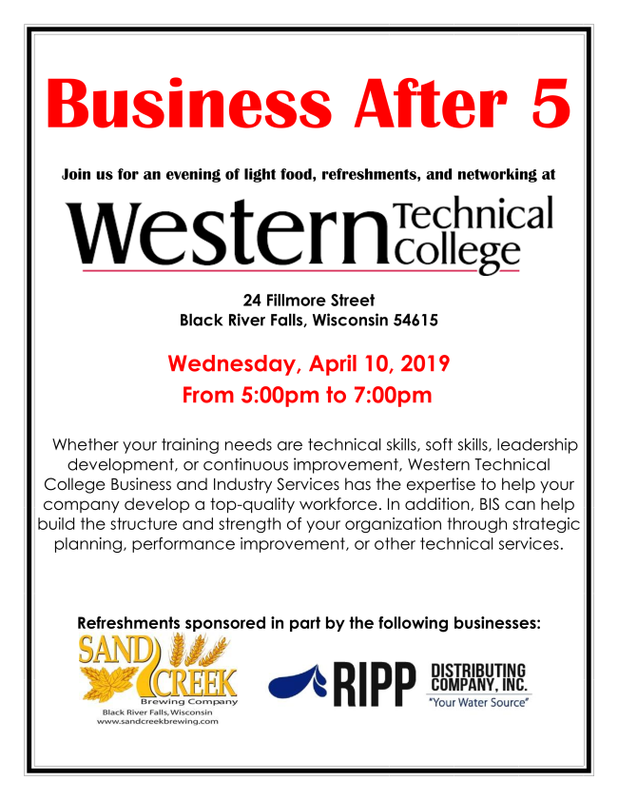 We have three openings for Business After 5 in 2020. Give us a call today to reserve your spot!